Twentymile Mine in Oak Creek, Colo., is owned by Peabody Energy and employs about 470 people. Peabody filed for Chapter 11 bankruptcy protection in April. This story originally aired on Inside Energy partner station KUNC. Colorado’s coal country is experiencing the same slump that is gripping the heart of more traditional mining locales, like Wyoming or West Virginia. Cheaper natural gas has dealt a blow to the coal industry — and to Mohr’s school district. Before the district opened an all-day preschool in the small town of Yampa, there wasn’t an affordable day care program for this mostly working class community. 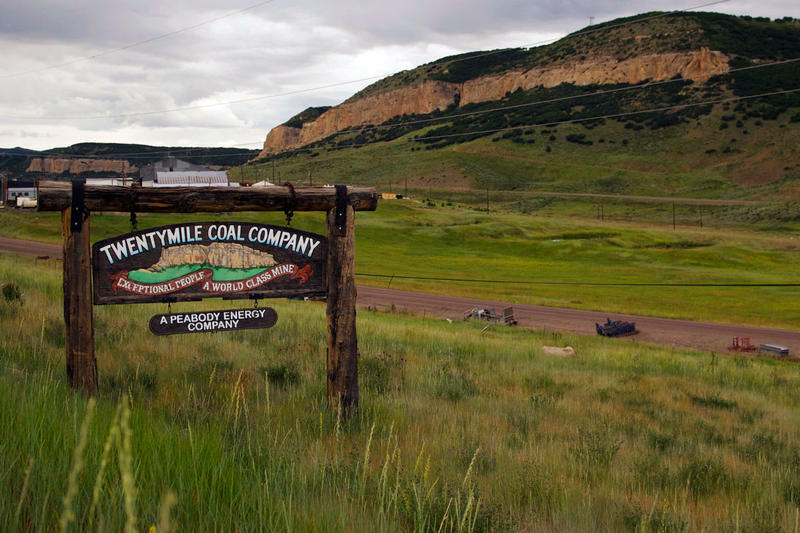 When Peabody Energy, owner of Routt County’s Twentymile Mine, went into bankruptcy and failed to pay property taxes, it would have been the first thing to go. But Mohr wasn’t about to let that happen. 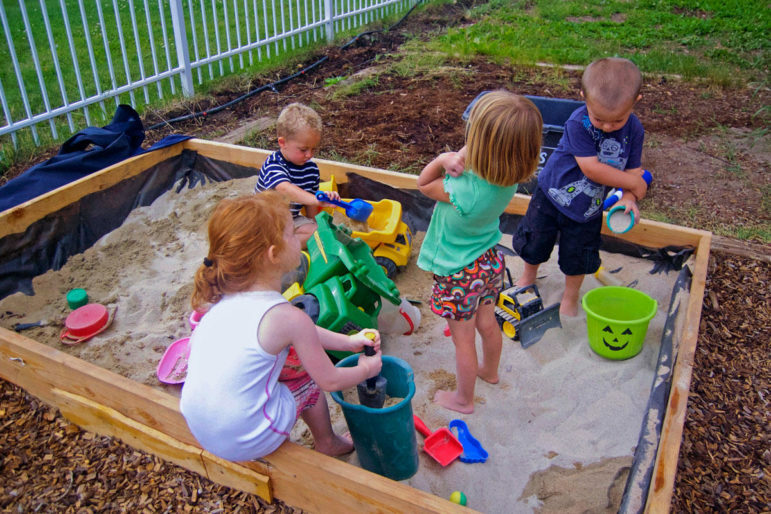 Students at South Routt County School District\’s preschool play in the sandbox. The preschool was the first affordable daycare option in recent memory. Before it opened, the nearest preschool was more than 45 minutes away in Steamboat Springs. “I refused to believe that the state of Colorado would let South Routt School District go under,” she says. Despite facing a daunting budget hole bigger than $1 million, Mohr sprung into action, requesting aid from the state with the help of local lawmakers. A sympathetic school board rescued the district, but still, South Routt had to dip into their savings just to keep the lights on for a few weeks. Although they’re out of the woods for now, the district’s future – and the future of any school district in a coal-dependent community – is difficult. Peabody asked a federal bankruptcy judge for approval to pay back taxes in four states, including Colorado. The judge’s decision allows Peabody to pay pre-bankruptcy back taxes if the company chooses – but it does not require them to do so. Kathleen Gebhardt, a lawyer who runs the Colorado nonprofit Children’s Voices, is noticing a trend. Gebhardt is not involved in this case, but has seen others cases where the Colorado State Board Of Education has had to bail out school districts when corporate taxpayers fall on hard times. Colorado relies more on property taxes to fund schools than many other states. The state also saddles commercial businesses like Peabody with a much larger share of the property tax burden. More than three times as much as homeowners. When they don’t pay up, government services funded by those taxes take a hit. Think libraries, fire departments and hospitals. Superintendent Mohr sees it outside of her school district. She points to the South Routt Medical Center, with a budget hole of about $55,000. It isn’t nearly the size of the school district’s shortfall, but “it’s a big deal for them,” she says. “Because it’s also 30 percent of their budget,” Mohr says. 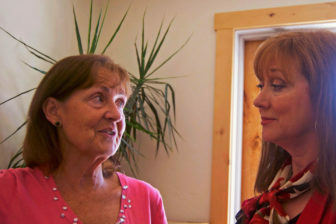 South Routt County School District preschool director Tamara Bereznak talks with superintendent Darci Mohr. The county is loaning the medical center the money until Peabody comes through. That is, if they do. Since it’s in the midst of bankruptcy proceedings, it is unclear what happens next. Chapter 11 proceedings can take years. Peabody’s properties in Routt County and in other states continue to accrue taxes – but there’s no telling if the company will be able to keep up with them while they restructure. A representative for Peabody could not be reached for comment on this story. However, in a statement released July 21, 2016, the company said it “prides itself on being a good neighbor.” The statement offered no details going forward. Right now, communities like South Routt are being tested to see how long they can get by without a big hunk of coal money. The coal industry’s hurting from West Virginia to Wyoming. But there’s a holdout on the Northern Plains, where coal’s alive and well. North Dakota burns lignite, a different type of coal than the rest of the country. But even the industry there feels mounting pressure.